Stop the van! No more need to keep looking! This beautiful home is just waiting for you and your family to fill it with love and awesome memories! And what's more, is that you will be in one of the most beautiful neighborhoods of Apple Valley! 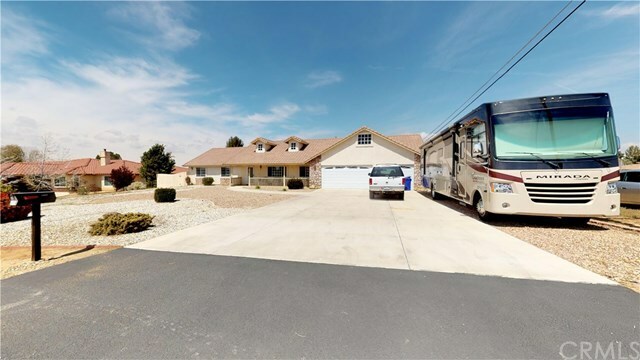 This home sits in one of the best districts of the high desert! This spacious home offers a beautiful open floor plan of 4 bedrooms and 2 baths with 2603 sq feet of gorgeous living space. Home has newer flooring in formal and living areas. Enjoy the beautiful pool/spa anytime! Spend the evenings around the firepit enjoying the desert sunsets! This amazing home is perfect for entertaining! Plenty of parking for your cars and RV. The home has been well maintained over the years and is a pride of ownership! Nothing to do except move in! Directions: North on Apple Valley Rd; West on Mandan Rd. Home on right side.